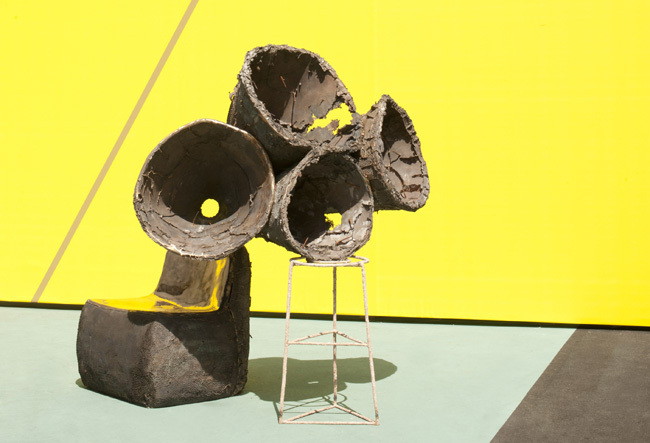 The disarmingly wacky Nacho Carbonell, known for his Tim Burton?style creations, premieres his first outdoor installation tomorrow at this year’s Design Miami/Basel. “Playground Closes at Dusk” consists of four pieces, each intended to give visitors a momentary escape from the fair by engaging the senses. One standout: A bouquet of bulbous glass blossoms perched on stainless-steel stems and filled with different smells of the forest. Watch the designer explain them himself, in our exclusive video by Luka Dogan. It’s worth it for the charming Spanish accent alone. For more news from the show floor, check out Design Miami’s new blog.